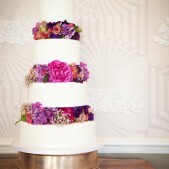 Robin is a leading wedding cake designer in London. 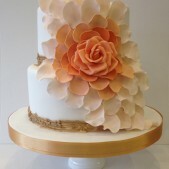 She has created a huge range of refined and intricate cakes, from traditional white wedding cakes through to modern chocolate, cupcake and many more unusual wedding cakes. Browse at leisure for your inspiration! 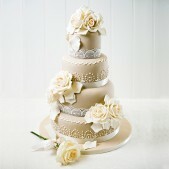 All white or cream, tiered wedding cakes. 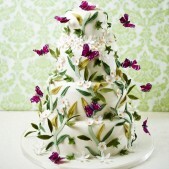 The classic and often most amazing wedding cakes decorated simply, yet elegantly. 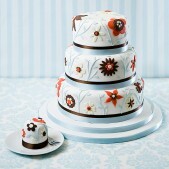 For traditional wedding cake inspiration, view our gallery. Do you have a unique colour theme? Are you looking for something to reflect a contemporary style or design? Perhaps you would like us to incorporate a design aspect of your wedding dress or you would like us to use the same fresh flowers in your bouquet as on your cake? Get in touch for inspiration or to have a consultation. 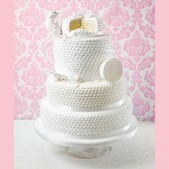 Do you want your wedding cake to reflect a fun or quirky style? Cakes by Robin have a great reputation for creating the most amazing sugar models that can adorn any novelty wedding cake. 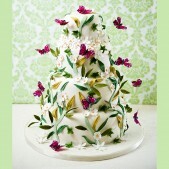 For a truly unforgettable wedding cake, speak to us about your novel ideas! 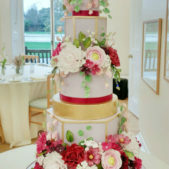 Scroll through, or select the galleries below to see more examples of Robin’s wonderful collection of bespoke wedding cakes. 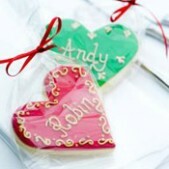 Robin’s creativity and attention to detail is sublime. 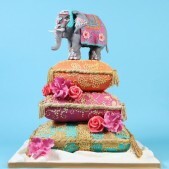 She makes the kinds of cakes dreams are made of. 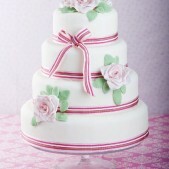 With Cakes by Robin behind your cake you can be absolutely sure you will get the wedding cake of your dreams. 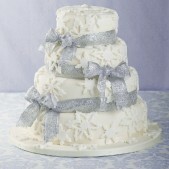 We make sure our handmade cakes are every bit as unforgettable as the wedding day itself. Browse at leisure for truly divine inspiration! 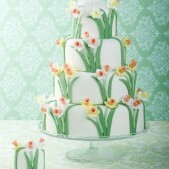 You may have decided exactly how you want your cake to look, or you may need inspiration. Either way, Robin will discuss the fine details with you to make sure you are 100 per cent happy with the ideas before she gets to work. 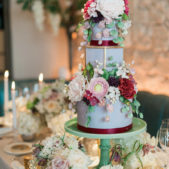 Whether you’ve found inspiration in a bridal magazine, seen a picture of a designer wedding cake or have your own original idea, Robin is an expert at converting cake wishes into beautiful truths. If you are stuck for ideas, don’t worry. 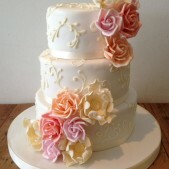 Take a look through Robin’s extensive portfolio of wedding cakes or book an in-depth consultation with Robin. 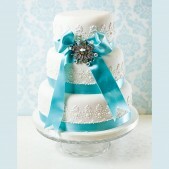 She will help bring all of your ideas together and your dream wedding cake will start to take shape. 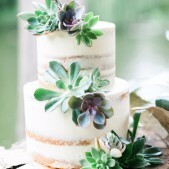 Robin’s naked and semi-naked cakes are a popular modern alternative and are a big hit at vintage weddings. 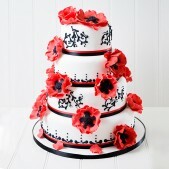 Robin can work with your colour scheme, or see that your cake compliments your bouquet. 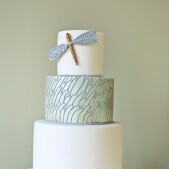 If you have a trinket or suggestion you would like incorporated into your design, Robin will make sure all of your ideas come to life on your special wedding cake. 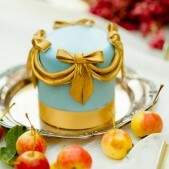 Robin wants your cake to be perfectly designed just for you. 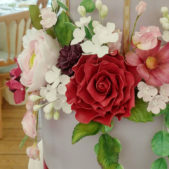 There’s nothing we can’t do in cake form, so if you dream of an unusual wedding cake, Robin loves a challenge and will bring all of your ideas to life. 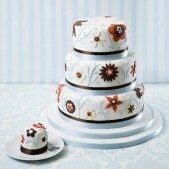 At Cakes by Robin, the inside of your cake is every bit as important to us as the outside. 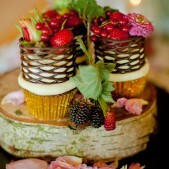 We make tasty cakes using only the freshest ingredients. 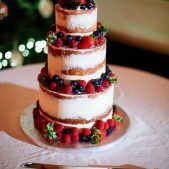 We offer a range of cake flavours and fillings, so with tiered options you can choose the same or a range of different flavoured cakes. 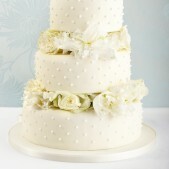 Our gluten-free cakes are delicious too, and your guests really won’t know the difference. Each bespoke order is created with the freshest ingredients and can be delivered on your designated special day – speak to us about our delivery service. 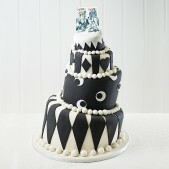 Our wedding cakes have a fabulous reputation in all of the best places. 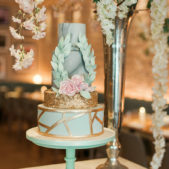 We have created wedding cakes to go to venues all over London including The Ritz, Claridges, The Hurlingham Club, The Mandarin Oriental, Cannizaro House, The Bingham, Kew Gardens, Syon House, The Four Seasons and many other lovely venues in and around the London area. 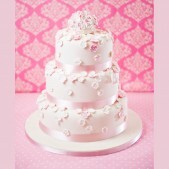 For truly unique wedding cakes, Cakes by Robin is your perfect partner.